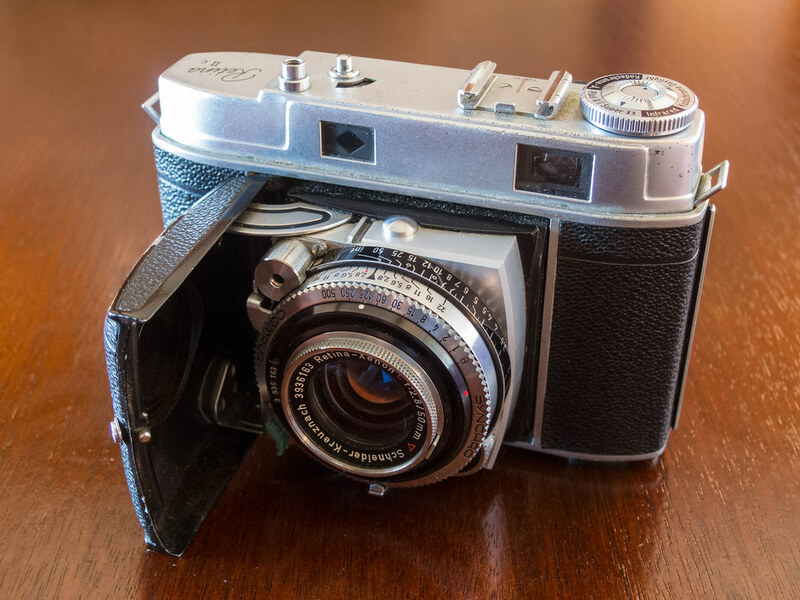 Fellow film-photo bloggers: how do you like to photograph your old cameras? 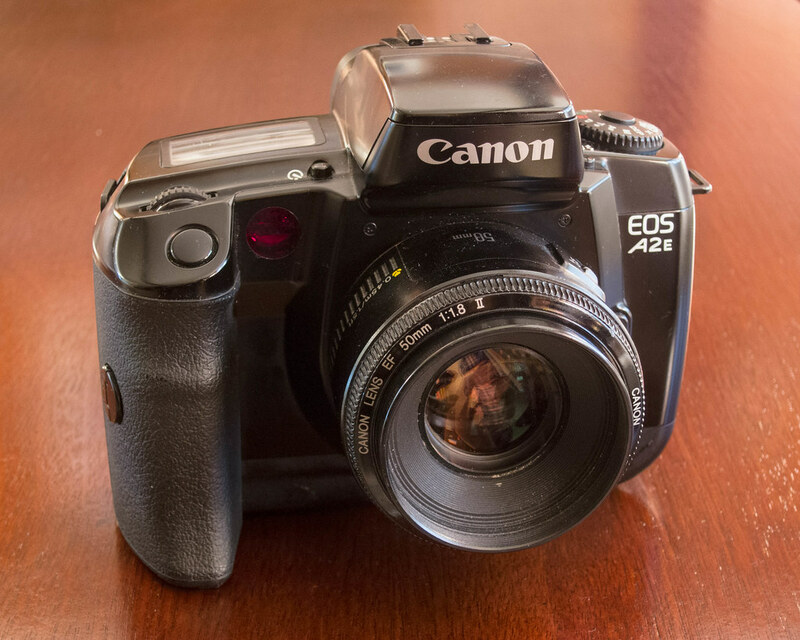 Reviewing old gear on this blog as I do, I need to show the cameras. When this blog was new a decade ago I’d just set them on my deck’s railing and aim my digital camera at them. But if I shot at midday or in the afternoon, the sun was overhead, leading to harsh shadows and bad reflections. If I shot late afternoon or in the evening, the sun was behind my subject, leading to silhouetting. I had so much to learn. I shot handheld, and camera shake was a problem. 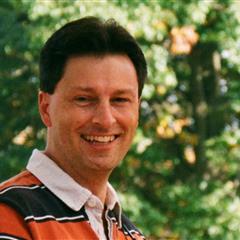 And I shot my digital camera, a simple Kodak EasyShare Z730, at its default focal length of 33mm (equivalent). That led to my cameras looking a little off square. Morning-only shooting was too limiting, so I brought it inside. I stuck cameras on a little table in my office and turned on every light in the room. I was still using Corel Paint Shop Pro to edit my photos, and I couldn’t adjust white balance with it. It did help considerably when I upgraded my digital camera (Canon PowerShot S80) and put it on a tripod. Zooming in to about 50mm equivalent gave the cameras a more natural look. A switch to Photoshop Elements gave me more tools to make colors look natural. It helped even more when I moved to my living room, opened the blinds on the big picture window, and shot cameras on the coffee table. The colorful backgrounds added interest. I also upgraded my digital camera again, to a Canon PowerShot S95. 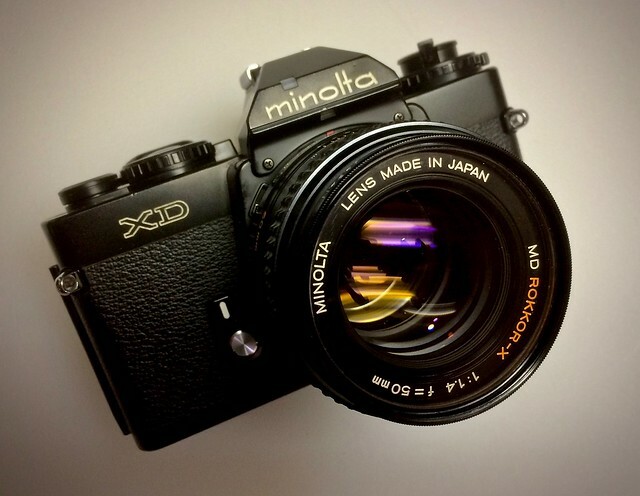 It can zoom directly to common focal lengths, including 50mm, no guessing. That feature is so useful. Because the light varies, in automatic mode the camera sometimes gives me too little depth of field. So I switched to program mode and set ISO to 100 to get a slow enough shutter speed to bring all details in crisp. That sometimes left the shutter open so long that shake from pressing the button would ruin the shot. So I started using the self-timer to delay the shutter. I don’t remember just what led me to switch to photographing cameras on my family room coffee table. I probably wanted to shoot a camera well after daylight had passed one day. My family room has the best artificial light in the house. I figured out how to position the camera so that only the coffee table’s surface served as a background, which I find to be a clean look. When I shoot during the day, natural light from the nearby window renders the surface red-brown. At night, with every lamp in the room lit, the table looks dark brown. By not I had started shooting RAW, and I had upgraded to full Photoshop, for even greater control. Photoshop can’t fix everything, though. With tall cameras I have to raise and tilt my camera such that the images look top heavy. Half the time I forget to clean up the camera before I shoot it. I don’t notice the dust until I bring up the image in Photoshop. 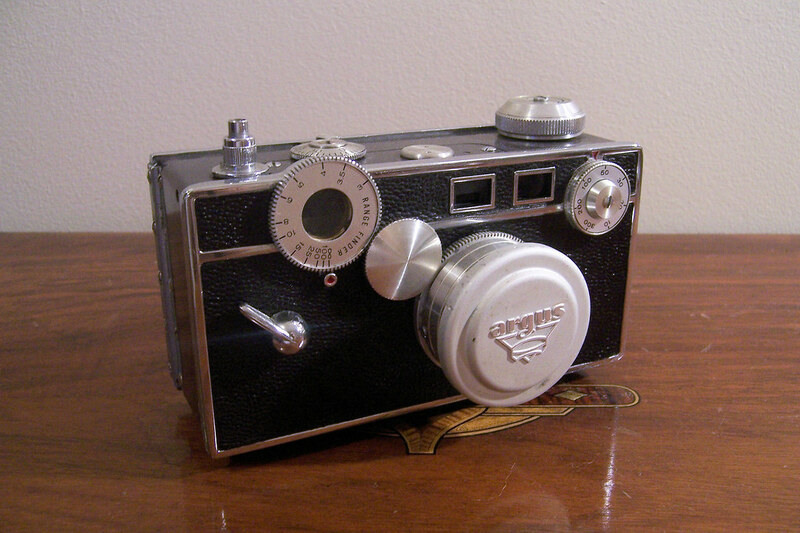 It’s enough hassle to set up to shoot these cameras that I just shrug and use the images anyway. Keeping the coffee-table surface as the background sometimes leads me to shoot from angles that obscure some of the camera’s details. This Retina’s exposure scale is on the bottom of the lens barrel, not that you can tell it from this shot. The photo below, which I made in seconds with my iPhone, shows these details much better. My camera photos work well enough to use in my reviews, but I’m hardly proud of them. 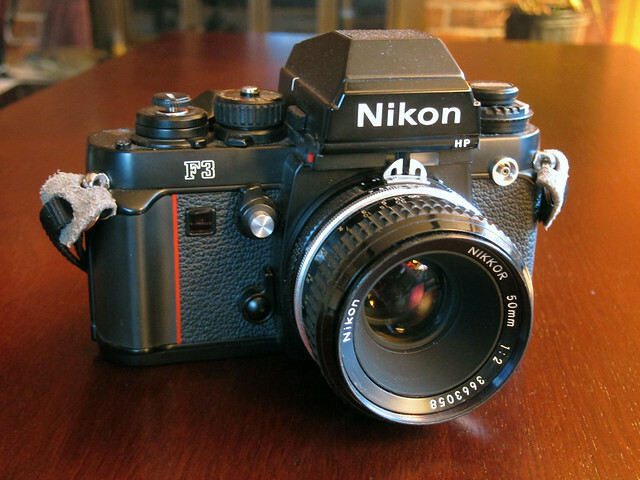 So do tell: what tricks have you learned that give you fast, easy, inexpensive, but interesting photos of your gear? I have had reasonable success getting the yellow out by adjusting white balance in Photoshop. 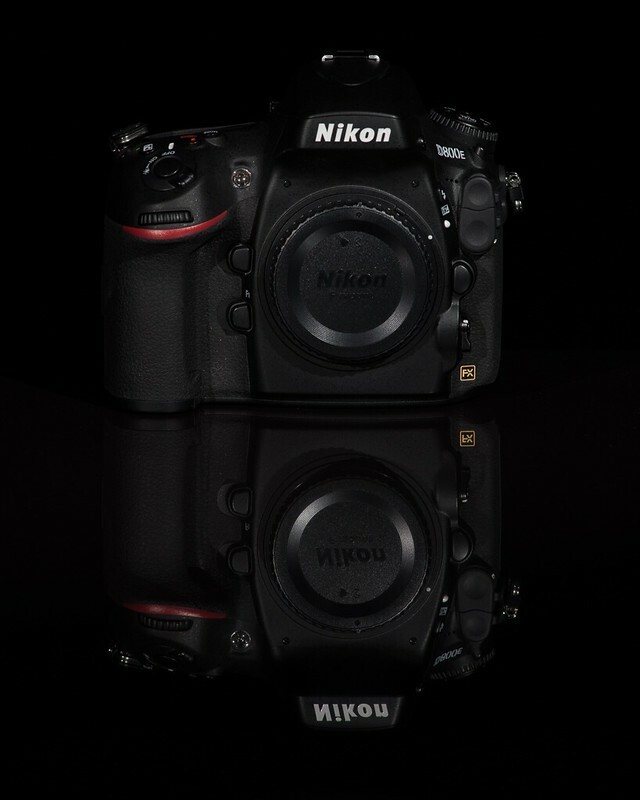 My challenge is that because my time is short I usually end up photographing cameras at night. I don’t know if it counts for fast or easy but I bought a (fairly) cheap light kit inspired by David Hobby’s Strobist blog consisting of a few Nikon strobes, some remote triggers and some basic light modifiers. Some of the modifiers are purchased (like shoot through umbrellas) and some are made (like snoots made from cereal boxes and gaff tape). I also bought the biggest piece of black tile I could find at a local home improvement store to serve as a reflective base. I’ve also read that a sheet of black Perspex works well for the same reason. In a long standing Strobist tradition, there are notes about the lighting setup on each image. If you have further questions, feel free to drop me a line and I’d be happy to fill in further details. The black tile is a great idea! I might steal it someday. I think I said in my post that I shoot at 50mm, but I can certainly try zooming in more and backing the camera up, and seeing how I like it. So far I’ve avoided buying lighting equipment but I can see that I might just have to break down and open my wallet. I took a sheet of glossy white foam core and made a bunch of cuts partway through one side. Now, bends in the middle, creating a gentle curve. I put the foam core on an office chair, roll it by the window, and take 4-6 shots with my digital camera. If light is too dim from the window, I pop a flash into an umbrella. 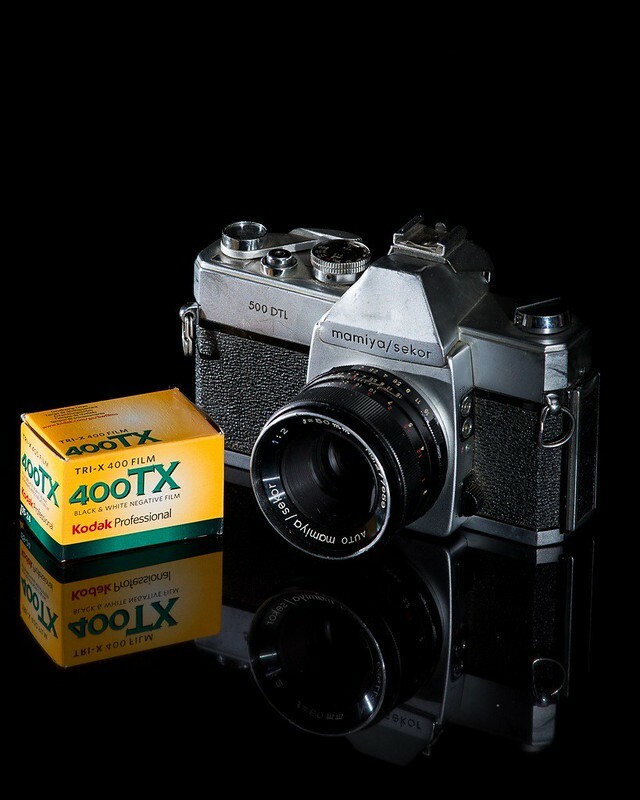 I made some mistakes with the shots in my recent review of the Sprocket Rocket (https://www.jamescockroft.com/20170711/photography/enter-the-sprocket-rocket/). I forgot to stop down. I don’t have a picture of the setup. Maybe I’ll post something about it. The foam core idea sounds good. I’ve heard of people doing setups sort of like it with rolls of white paper. A post on your setup would be interesting. 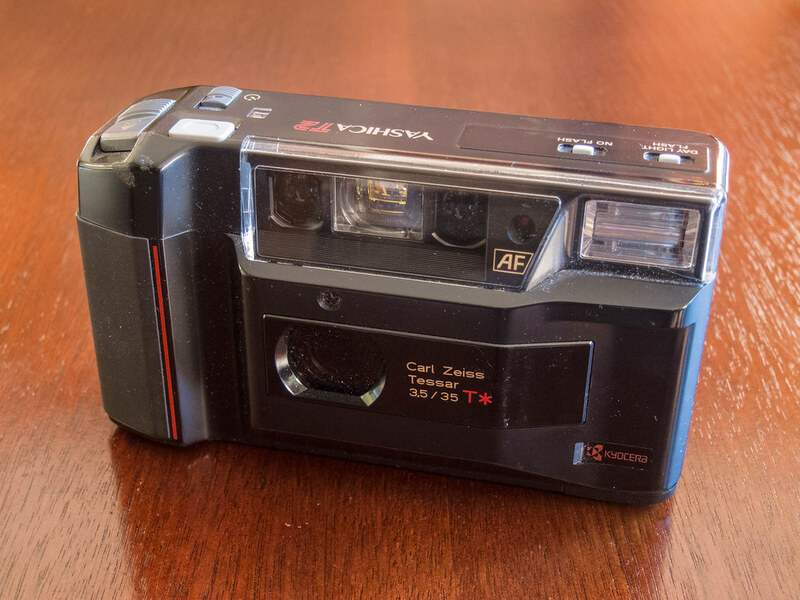 All I can say is that after years of making fairly decent money in the Chicago and Milwaukee market, specializing in product and food photography on view cameras, when I had to start getting rid of stuff in the early 2000’s on eBay, my photos were terrible. I put a little piece of cardboard in a slight bend, and then shot a light off the ceiling. I had to work without the usual equipment and space I was used to. You photos look head and shoulders above the stuff I was cranking out for eBay! Considering, as you said, the photos you take of the cameras are only for your review of the camera, I think they’re great. They look a heck of a lot better than 99.99% of the camera pictures I see on eBay and assuredly far better than the ones I take of my own cameras. Besides which, I am more interested in your review of the camera than I am of the photo of the camera. Ooh, I think I’ve seen that before. That seems eminently doable. I set my cameras on a white cutting board on my kitchen counter. Natural light from kitchen window combines with overhead fluorescent. Not very high tech, but a few have made it into Explore on Flickr. Your camera photos are always good. A couple of my coffee-table shots have made it to Explore too! 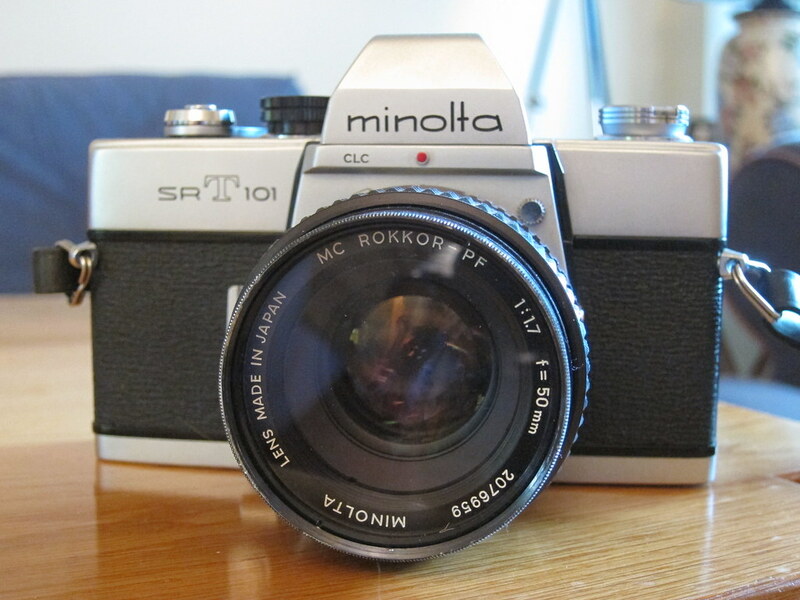 I like your first shot of the Retina IIc. 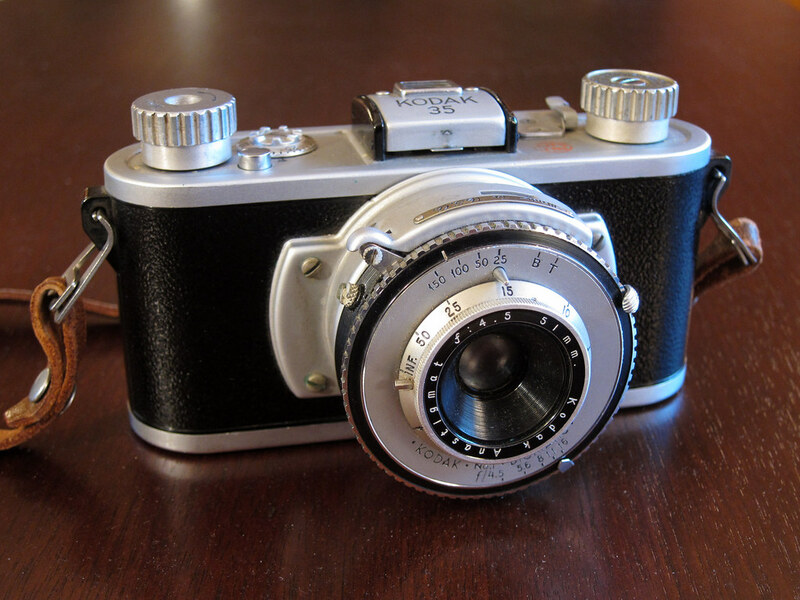 It nicely illustrates the sculpted style which the IIc brought to the Retina line after the war. The picture has a pleasing balance of shadows and highlights and an uncluttered background. The distance from the subject provides a good perspective which avoids the distortions which can result from getting too close with a wide-angle lens. 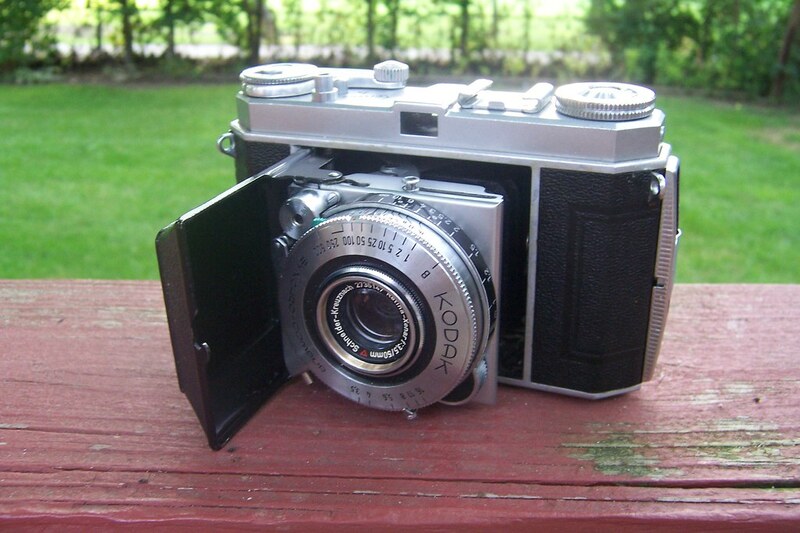 I have gotten pictures of my old cameras that I’ve liked using a great variety of backgrounds and lighting conditions, so I would be hesitant to offer any particular formula for how it should be done. I’ve always brought a digital camera to the task for the versatility that offers along with the opportunity to make a large number of exposures to adequately explore the subject. Thank you for breaking down what you see in the IIc photo. I have learned that turning the camera at a slight angle gives a better sense of it to the viewer. 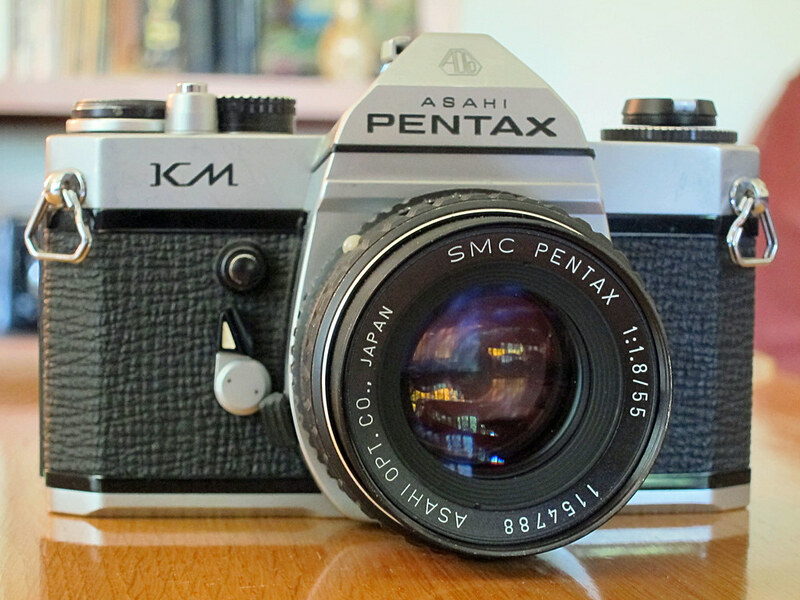 The shot of the Pentax KM, in contrast, is one-dimensional in comparison. I shoot my cameras with my digital camera as well, but largely because of speed: I can use the photos in a blog post that day. 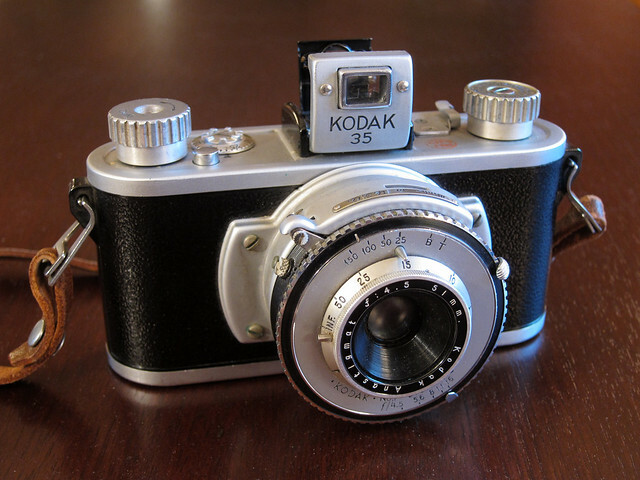 I love the photo of your Kodak Monitor. Excellent detail, nothing obscured in the shadows, yet the photograph’s use of light is interesting and makes the photo stand on its own as a photograph rather than as just a documentary object. When I started my blog, initially, I used to shoot my cameras under two fluorescent strips at 45 degrees against each other, which was fine if I got the white balance right (this was an odd design feature in my room at the time); I then moved to photographing them outside, in the shade, on a large sheet of white blotting paper, usually raised up at the back. Now I shoot inside, again on white paper, by a window, with one or two lamps with daylight bulbs, sometimes with fill in flash – and usually with a bit of editing in Photoshop as well. I do mostly use a tripod to use lower ISO settings and smaller apertures, plus using my digital camera’s lens zoomed to its longest focal length to ‘flatten out’ the image somewhat (these days photographing cameras – and artwork – is almost all I use my digital camera for). Nice to know that I’m not the only one who’s simply made use of what was available! I shoot a lot of film, but I still shoot more digital. 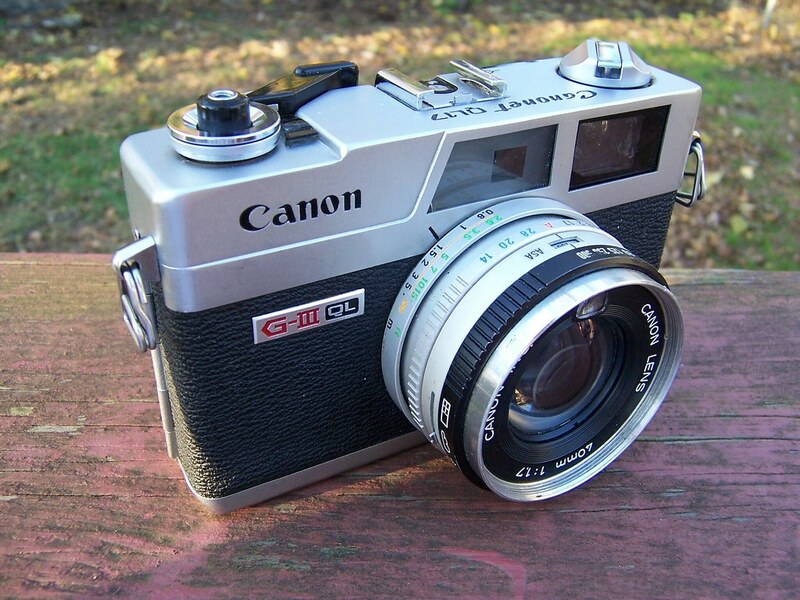 My Canon S95 is probably my favorite camera of all time. It’s so versatile. My Camera shots vary. I bought a cheap little light tent and lighting kit off ebay for about $40 then with camera on tripod I shoot from there at whatever shutter speeds get the shot. Having said that, since I moved I haven’t been able to set that up and have generally been using office desks and available light, using a little tripod and self timer. Angles depend on the subject camera and what specific features I want to highlight. I think your shots are fine and illustrate what you are reviewing. Thanks! I think they do the job as well. I guess I just wish they rose to the level of some of the camera photos I’ve seen on a couple other key blogs. But then, I’m not sure I’m willing to set up a complicated studio to get the lighting just right. I want to be able to make the shots quickly, which is why I lean on my coffee table and the picture window. I barely have time to photograph anything, except occasionally on my way to or from work, and I don’t blog. I just wanted to echo some of the above sentiments about your camera pictures. They always look pretty good to me. Some are really outstanding. I don’t have any bright ideas — but I sure have learned a lot from your post and your readers’ suggestions. Thank you for the creativity booster-shot, Jim! I used to us my couch, but my new house has a handy bench outside that seems to have perfect lighting. My favourite camera photo is of a Nikon that I took on a Starbucks table, just because that was where I was. The background was nicely blurred and interesting. I don’t take much tim or effort, but I am thinking of buying a lighting box or experimenting with lights…for the experience. Yeah, I’m kind of in the same place — would be interesting to experience using actual lighting. 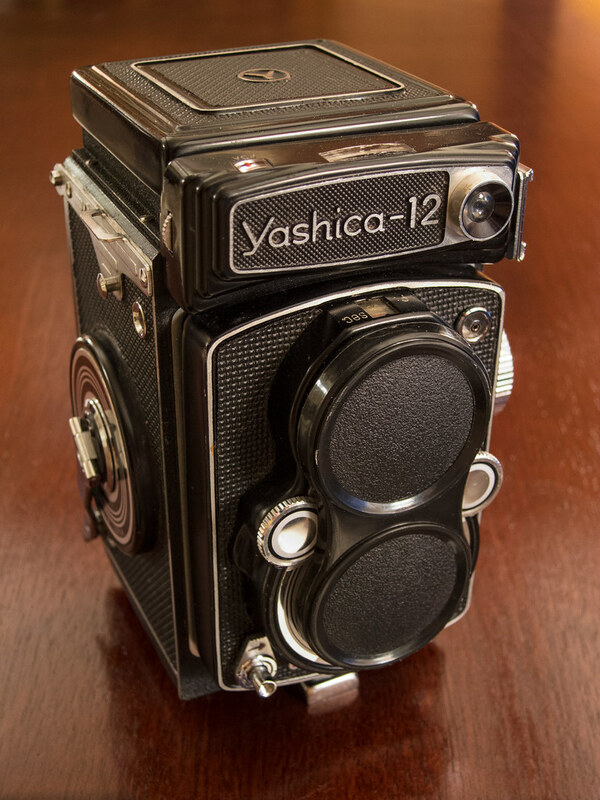 For some long forgotten reason I started photographing cameras on a black or dark grey background (either an old velvet cloth from a 4×5, or a larger piece of fleece). I shoot them on the dining room table which is next to a large window with a second window at right angles not far away. If I remember, I use a reflector (a wrinkly-foil covered disk from under a cake which is stiff and can easily stand with something behind it) to infill on the room side of the photo. I often shoot with a shallow depth of field because of limited light and not being bothered with getting a tripod out. I too sometimes forget to clean the camera. When reviewing a camera I usually shoot all sides and also the inside with the back open, though often I don’t use all the shots I take. I would like to experiment one day with backgrounds like cloth or card. But at the moment my goal is “decent photo, fast” and what I’m doing does get me that. I’ve switched back since writing this to photographing cameras in my living room on the blonde table because the colorful backgrounds appeal to me again. I probably ought to figure out some sort of reflector, it might help. I have to recommend those cardboard cake boards as reflectors – some are silver, some are gold. The best thing about them is they come with a cake, which needs to be eaten before you can use the board. 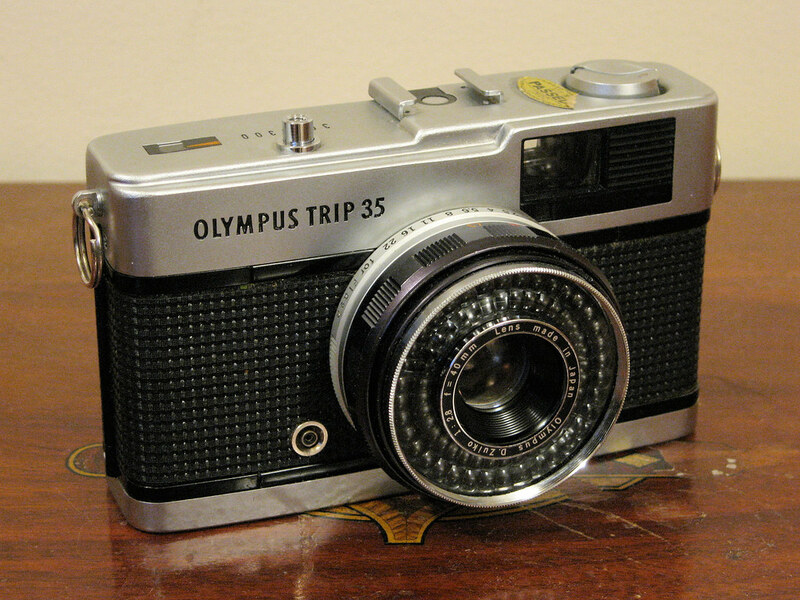 I’m looking at this black SP – I am guessing the film in it is 20 years old. The dial is turned to pancro, and the ISO to 200, but the camera may have been stored where people (university students no less) could fiddle with it. I suppose the safest course is to rewind it, check out what it is and then put it back in and continue shooting. But …. that spoils some of the fun. I think I will shoot at ISO 100 to accommodate a bit for the age. Any suggestions welcome. I surely wish I didn’t follow a gluten-free diet then! Oh, I’d just set the ISO to 100 and finish that roll. I wouldn’t shoot anything I cared about, though — just la-de-da shots and finish up the roll. Well, that IS a problem, so much harder to find a good reflector with a gluten-free cake attached.